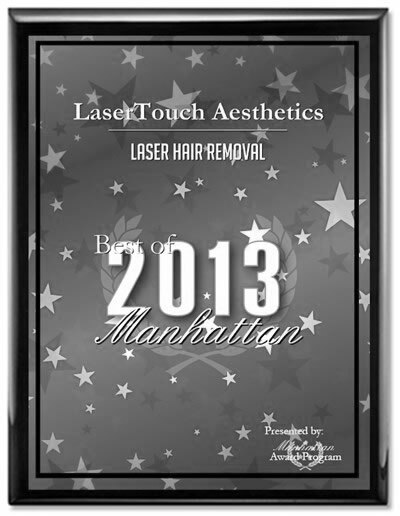 At LaserTouch Aesthetics, we have nearly 10 years of experience with hair removal. We offer a variety of hair removal solutions, including laser hair removal and electrolysis, in order to most effectively and efficiently produce results for your skin and hair type. Our multi-technology approach is your best alternative for maximum hair reduction. Electrolysis destroys hairs by gently delivering a minor electric current to the base of the hair follicle through a very fine needle. This is done through the natural opening of the hair follicle, destroying the hair growth-tissue and substantially eliminating the hair. If you have blond, white, grey and peach fuzz hair, a combination of laser and electrolysis treatments may be the right solution for you. We offer free consultations to understand your needs and determine the right solution for you. At LaserTouch Aesthetics, the first step towards FREEDOM OF A HAIRLESS BODY is a free consultation, during which, an experienced aesthetician will evaluate your skin type and identify the appropriate treatment procedure or combination of procedures. Prior to a consultation, LaserTouch representatives will ask you to fill out certain forms to ensure that you do not have any medical conditions that would prohibit you from receiving laser treatment. During the consultation, which may take 15 to 30 minutes depending on questions you may have, our aesthetician will describe the treatment process, what to expect during treatment, pre-treatment requirements and post-treatment procedures. 15min $49, 30min $75, 45min $95. Package discounts apply to multiple session purchases. At LaserTouch Aesthetics we have a variety of laser devices that can permantly remove darker and course hair through a very efficient and effective treatment procedure. Where we usually recommend electrolysis is for elimination of gray, very fine, blond, and white hair. Electrolysis can also be very effective in shaping small areas with hair, such as eyebrows. Electrolysis has been used safely for decades. Side effects are extremely rare. 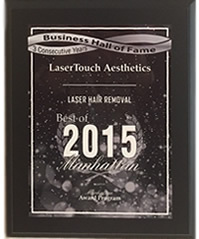 LaserTouch Aesthetics always uses high-grade sterilized disposable needles and follows the strictest and up-to-date infection control recommendations of the American Electrology Association (AEA), Occupational Safety and Health Administration (OSHA), and Center for Disease Control and Prevention (CDC). Electrolysis produces a pricking sensation, which some clients describe as being equal to or slightly above the feeling of a hair being plucked. This sensation is your guarantee that the hair base is actually being destroyed. With advancing technology, electrolysis is more comfortable and effective than ever. You may come to our clinic for a free patch test and try it out for yourself -- there's no better way to answer this question! What happens after the treatment? Can I be in the sun? 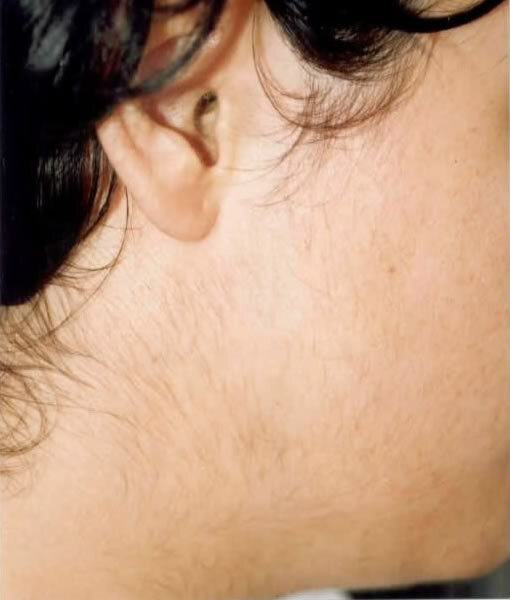 After treatment, the treated follicles may be slightly red. This usually goes away after a few hours. Your electrologist will discuss your post-electrolysis treatment with you. It is advisable to avoid the sun the day after treatment and use good sun protection (as always!). Can electrolysis treat blond hair? Dark skin? With electrolysis, your skin and hair color don't matter. 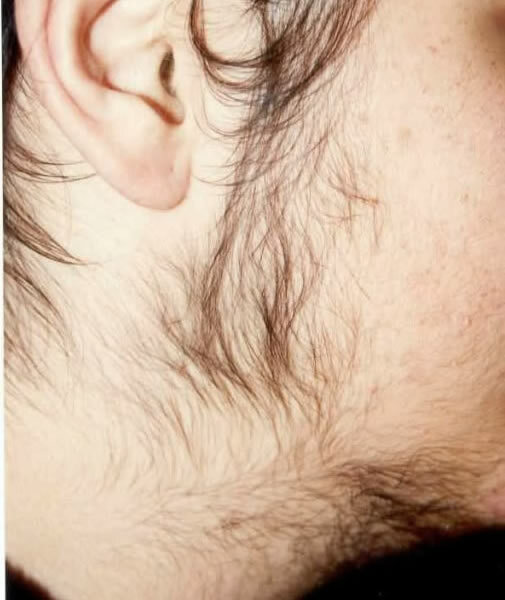 The follicles are always destroyed since electrolysis delivers the required energy directly to the root of the hair (and does not rely on heat traveling through the hair, as laser does). Moles can be safely treated with electrolysis. But moles should first be examined by a dermatologist or medical doctor. For your protection, we request that you bring a note from your doctor to know this has been done.